Small and quiet towns are emerging to become retirement destinations nowadays. Phoenix is the polar opposite of small and quiet because it is actually a big, bustling city, the 6th largest city in the US. Sun City, the first age-restricted community in the country is just a short ride away from the heart of the city. Other popular retirement communities here in Phoenix are Tempe and Scottsdale. The wide expanse of the land in Phoenix has offered lots of great golfing sites for retirees. Phoenix may be a desert area, yet it still goes through the four seasons. However, it is particularly warm here from September to May. Tucson is another popular Arizona retirement destination that offers the same warm climate minus the big city appeal of Phoenix. The culture of Tucson is a mix of Spanish, Anglo-American and Native American. This mix of heritage will make anybody living here interested in the different practices that canâ€™t be found anywhere else in the country. 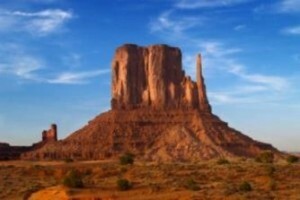 The cost of living here is very reasonable and it is one of the most affordable of all the places to retire in Arizona. Sedona offers enticing desert scenery. You will definitely appreciate the red of the rock buttes, the eroded walls of canyons and the soaring mesas that is all under a wide expanse of endless blue sky. Golf courses are gradually spreading across this already beautiful desert landscape. Its tranquil surroundings make for a great place to relax when you retire here. Flagstaff is another Arizona retirement destination in the Northern part of the state. This has a college town feel, popular among retirees. You can also find spectacular scenery with snow-capped mountains and pristine lakes nearby. It is warm here but the summers are relatively mild. The place itself is a great site for outdoor recreation. These are just some of the AZ retirement destinations that are waiting for you. You do not have to go far when you retire. Arizona has so much to offer.